This July, more than 250 veteran volunteers in eight cities across the country will rally to drive community impact through their service. Together with community partners, the veterans plan to revitalize community spaces through a series of weekend-long projects, addressing local needs such as safe access to green space, the building of urban gardens and development of resources for underserved schools. The veterans are volunteers with The Mission Continues, a national nonprofit organization that empowers veterans to find growth, purpose and connection through community impact. These projects are part of a broader event dubbed Summer Service Slam. The inaugural national event spans three consecutive weekends from July 13th - 29th in cities including Baltimore, MD; Cleveland, OH; El Paso, TX; Kansas City, MO and four national parks including the Grand Canyon in AZ, Mt. Rainier in WA, Sequoia & Kings Canyon National Parks in CA, and the World War II Valor in the Pacific National Monument in HI. "Our Summer Service Slam campaign is the embodiment of collective impact in our most under-resourced communities,” said Mary Beth Bruggeman, U.S. Marine Corps veteran and vice president of program strategy at The Mission Continues. “When veterans and community members come together in action, their potential to create lasting, positive change is both inspiring and unlimited." Summer Service Slam’s civic-minded projects are more than just beautification efforts - they are opportunities for veterans to develop new connections and skills while spearheading long-lasting community impact. In the Bay Area, veterans and their families are taking to Sequoia National Park, where they will set up camp and spend their weekend removing invasive species to help maintain stability in the park’s animal food chain. Across the East Coast, veterans from over 10 cities will deploy to “Maryland’s Working Waterfront” in Baltimore, MD, for neighborhood cleanup, urban garden development, food pantry restoration and a post-project community block party. As a member of a Service Platoon, undertaking regular service missions that leverage veterans’ skills and leadership to make a positive impact. As an individual Service Leadership Corps member, partnering with community organizations for a period of six months to problem solve some of our nation’s toughest challenges on a local level. As a member of a Mass Deployment, deploying with 80 plus veterans from across the country, to a community in need for a week of high-impact service alongside local partners and volunteers. The Mission Continues is expanding its reach throughout the country with emerging events such as Summer Service Slam, the upcoming national United in Service 9/11 campaign and the ongoing launch of service platoons, adding to the roster of 79 hard-charging platoons nationwide. 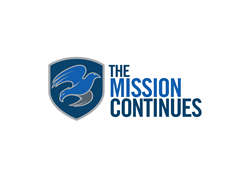 To learn more about The Mission Continues’ programs and opportunities to get involved, visit http://www.missioncontinues.org.